My son, Carter, was born 12 weeks early on June 13, 2012. He was airlifted from MedCentral Hospital in Mansfield to Akron Children’s Hospital. I didn’t have any complications during my pregnancy and we don’t know why he was born prematurely. 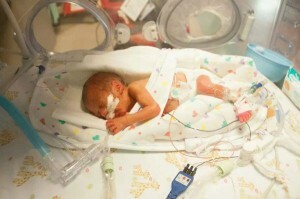 In the NICU, where he stayed for 14 weeks, Carter had chest tubes and remained on oxygen for longer than most preemies. At 2 weeks, we learned he had suffered a brain bleed and may not survive. 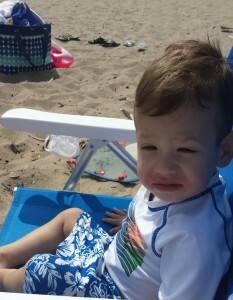 Thankfully he survived and is now a healthy, happy 2 year old with mild cerebral palsy due to his brain bleed. He still sees a neurodevelopmental doctor, neurologist and cerebral palsy specialist in Akron. I couldn’t be happier with the staff at Akron Children’s.